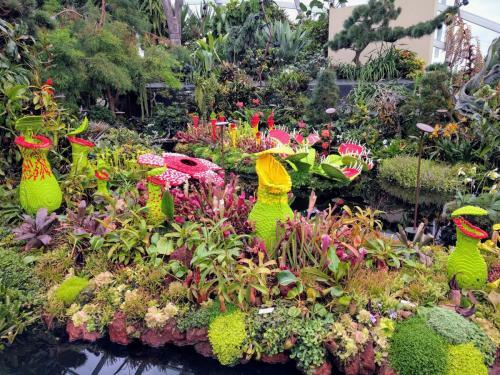 Due to limited time, I visited the gardens over two days. 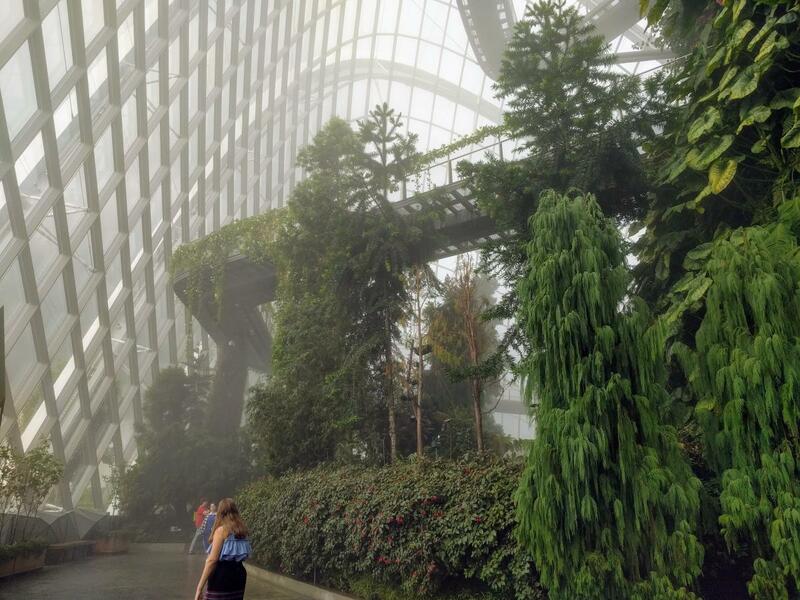 The first day my parents and I went to the two conservatories, the Flower Dome and the Cloud Forest. 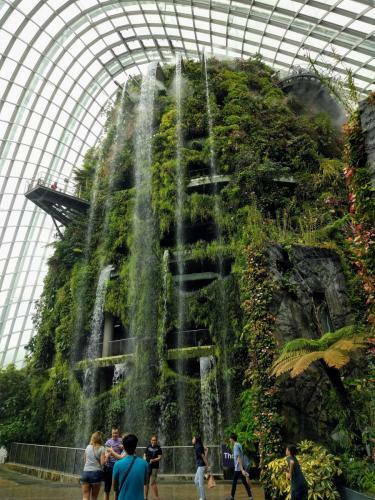 The massive domes housed two very distinct gardens and are well worth the visit. The carefully controlled climate was a welcome change from the hot weather outside. 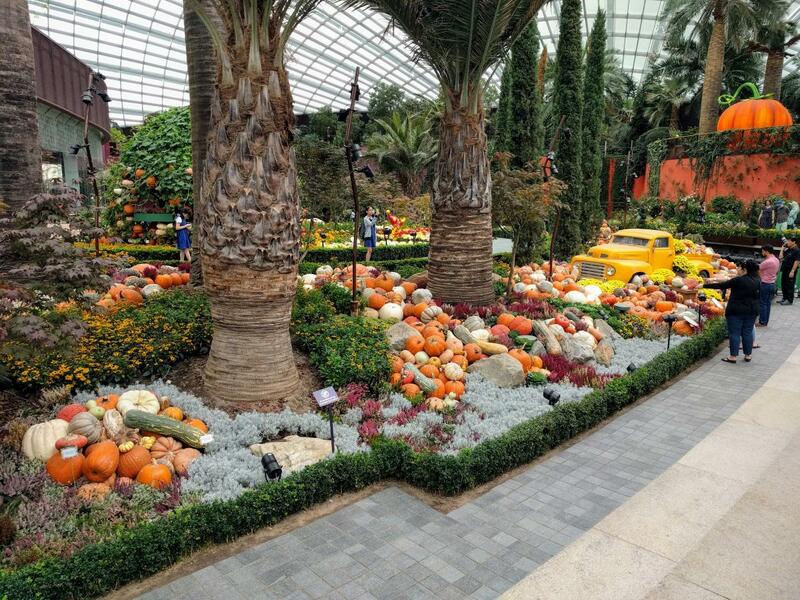 The gardens also change with the seasons and events so it can be different with every visit. 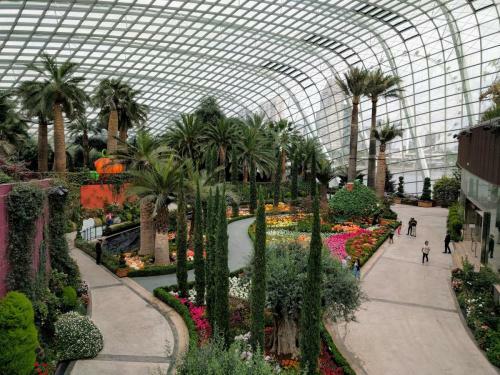 Entries to the domes are SGD$28 person for both domes. 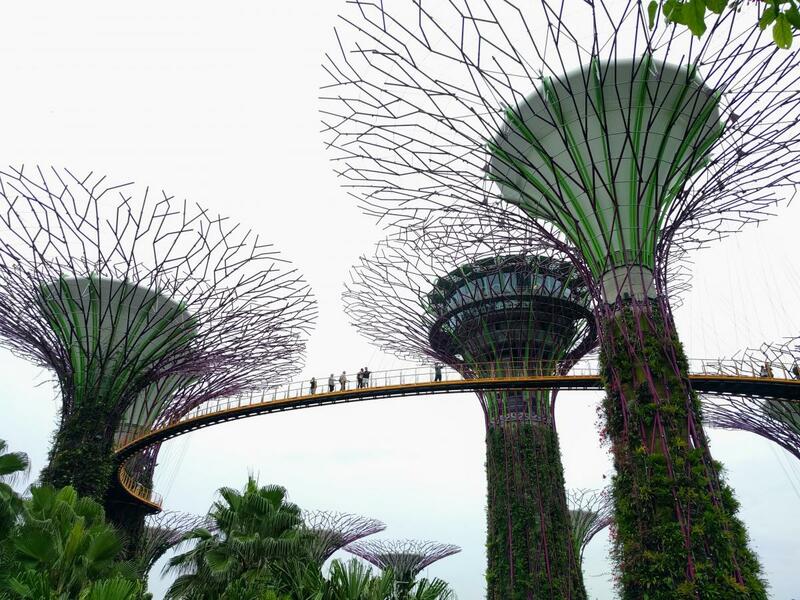 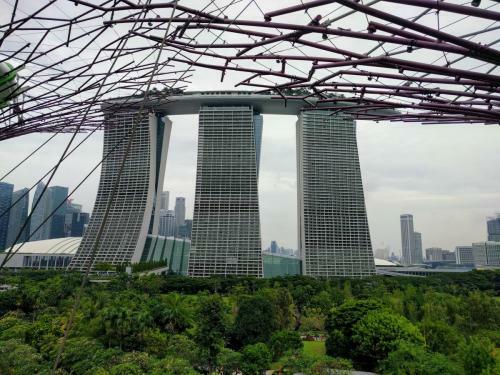 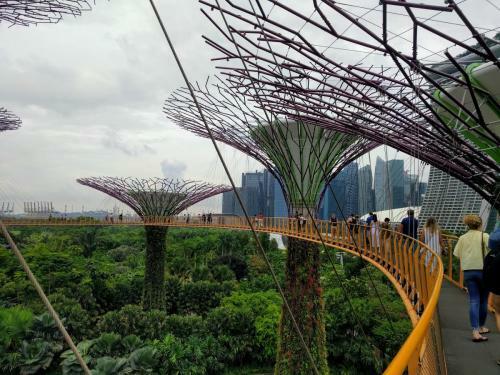 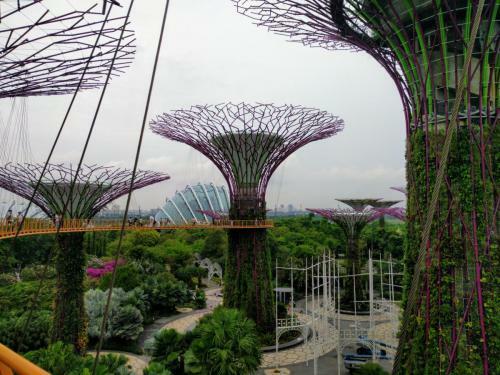 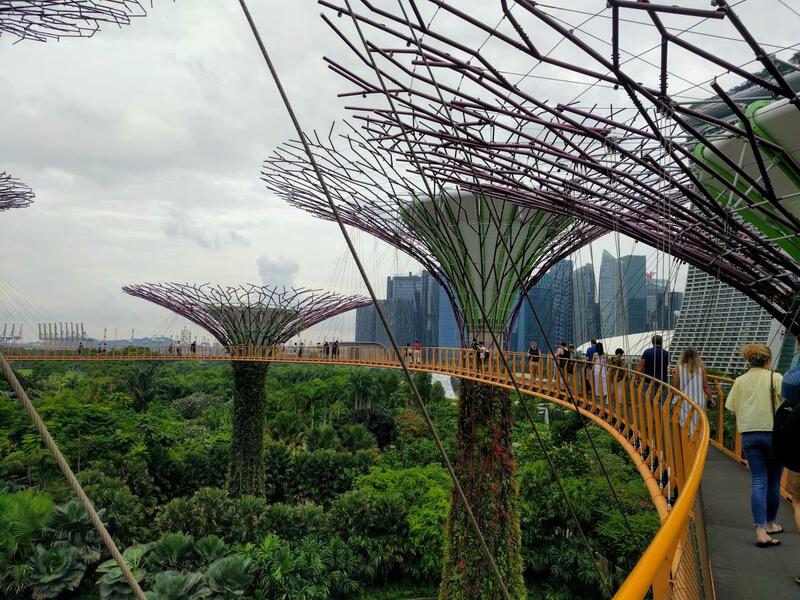 The next day I visited the Supertree Grove and OCBC Skyway. The Supertree Groves are the icon giant tree like structures that you can a see around the Gardens by the Bay. 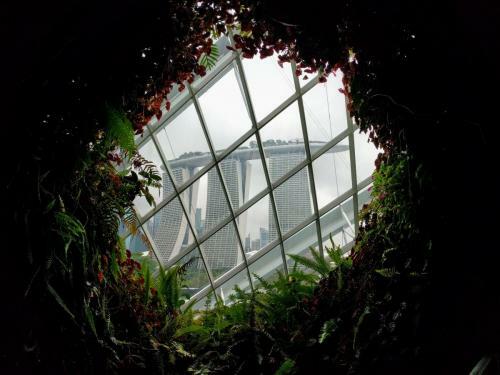 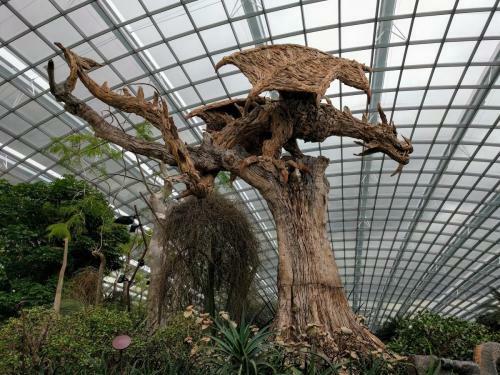 While the OCBC Skyway is a walkway and goes from tree to tree, giving you very nice views of the surrounding gardens. 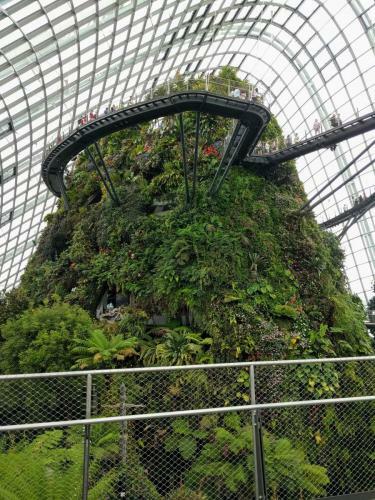 Entry to the OCBC Skyway is SGD$8 per person. 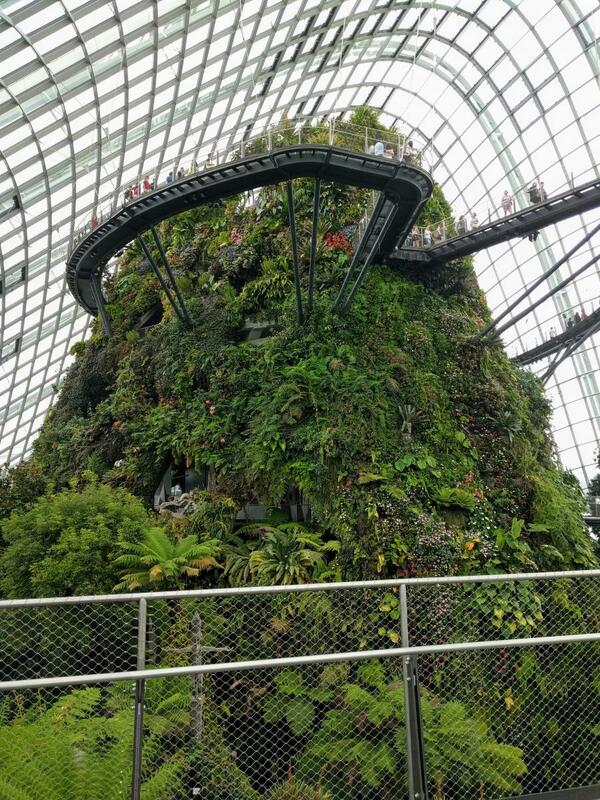 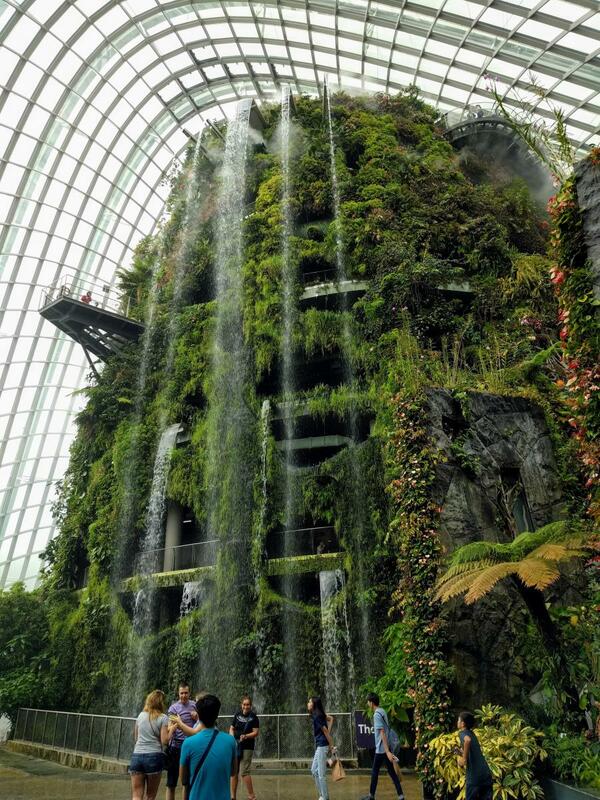 In my opinion the Gardens by the Bay is a must see attraction for visitors to Singapore. Even just walking around the outdoor areas is a nice experience as there are smaller themed gardens that you can walk through. 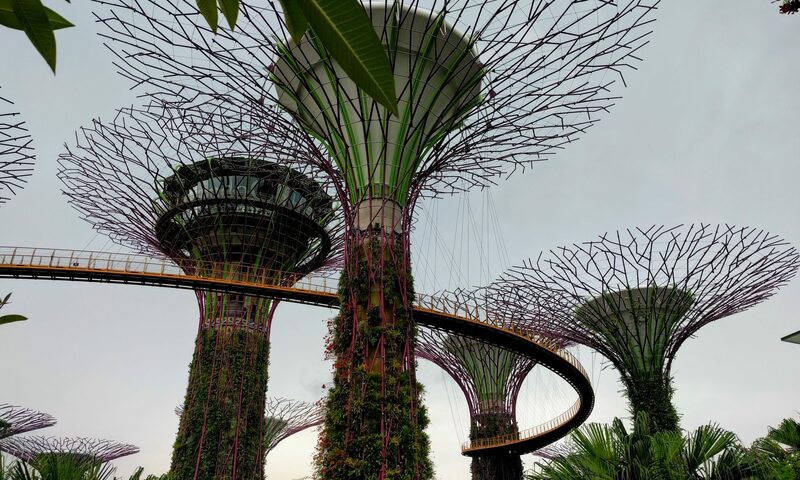 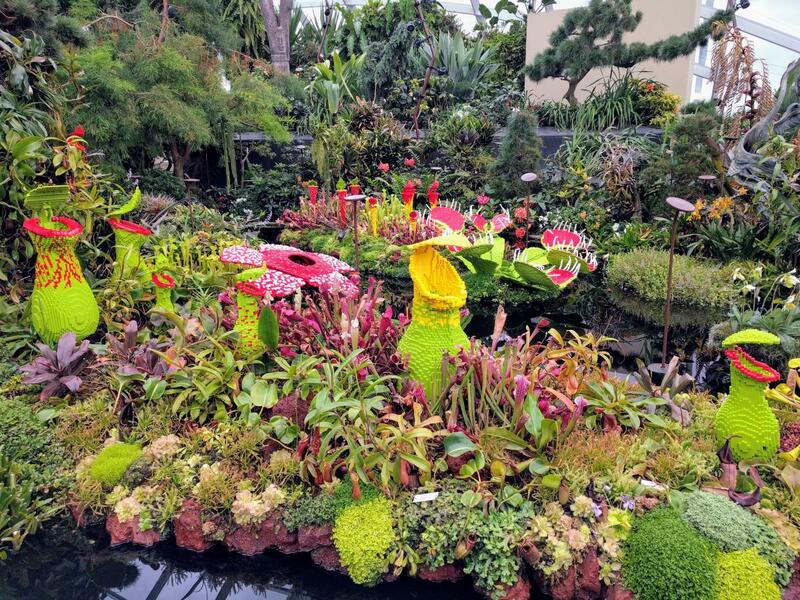 With the gardens changing all the time, I will definitely go back with every visit to Singapore. 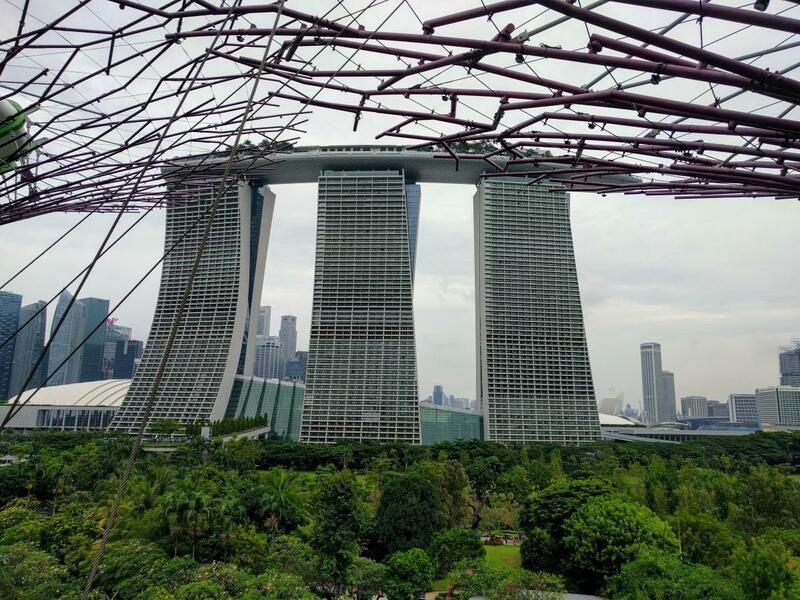 Even a visit during the day and during the night are supposed to be different with beautiful lights at night, so I might visit in the evening the next time.